Comments Off on Burlap and More! 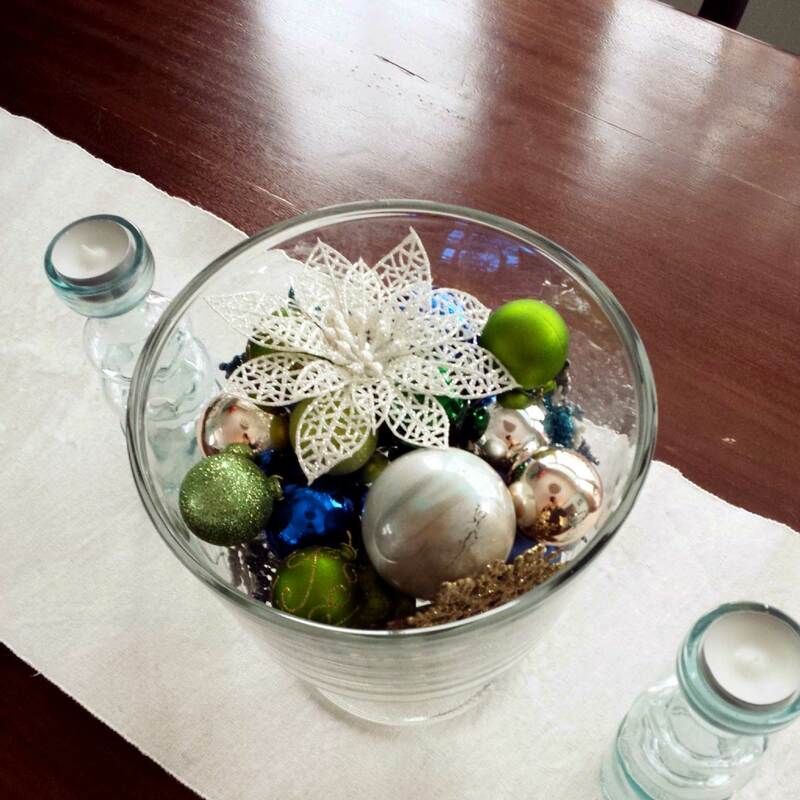 It was a trifle bowl with ornaments. Snowflakes went around the sides, then ball ornaments of different sizes went inside topped with a sparkly flower. 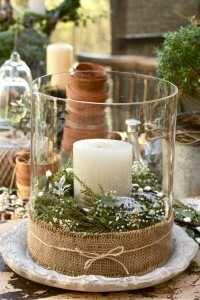 The candle holders are recycled glass of some sort. As per usual, I did my own take. 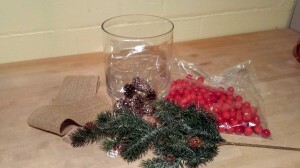 I had the large vase, candle, fake cranberries and ribbon. I bought a fake silvered branch and copper-ish pine cones from Michael’s. 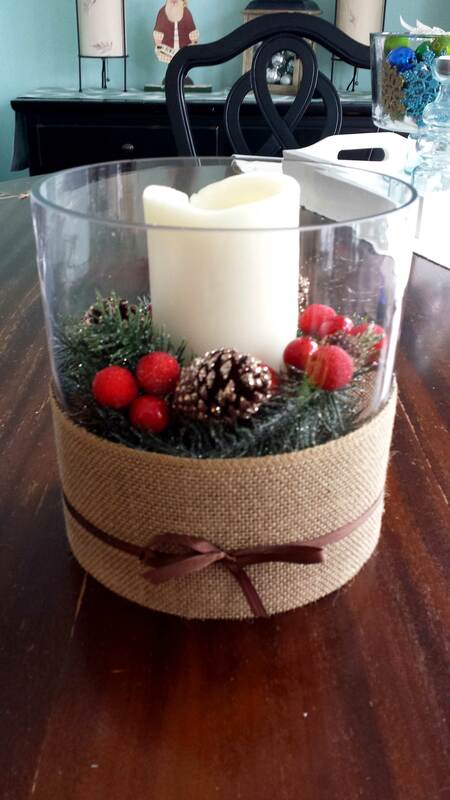 I cut up the branch using wire cutters and then just placed them in the vase surrounding the candle. Then added the pine cones and red berries and finished it off with the burlap and brown ribbon. 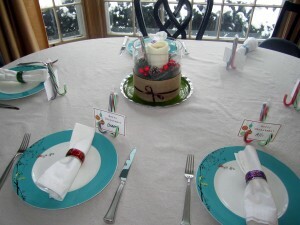 It was missing “something” when I added it to the table, so I ended up grabbing a green plate for underneath. It made a difference! As usual it met my requirements: low enough to see over, smallish to accommodate other food and easy to move. 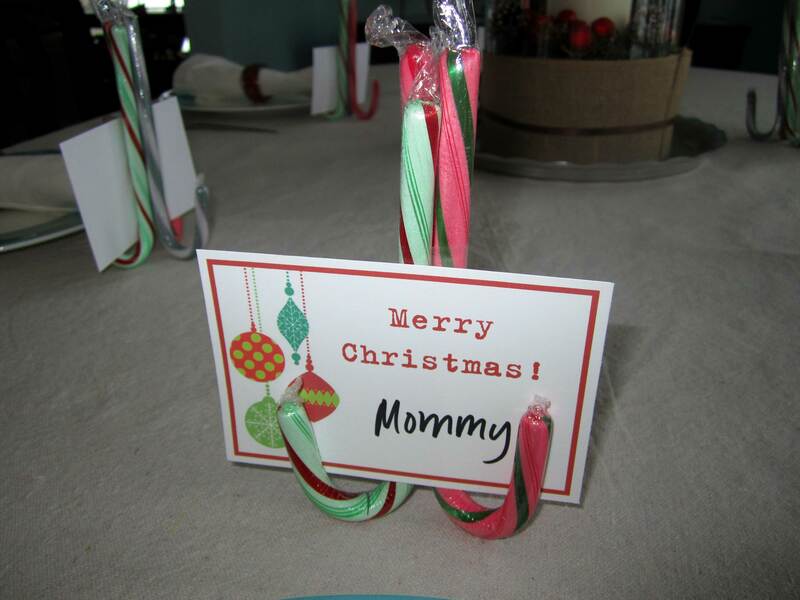 I also ended up getting a little creative with place cards – which doubled as take-aways. Even though it wasn’t a large or formal dinner party, I decided to do them. I found this idea online – to take 3 candy canes and put them together. Some had glued them and some that had taped them. I went with the tape and printed out some cards and added names. They turned out pretty cute, but they weren’t very stable. Also they were a challenge to tape together. So I probably wouldn’t go through the effort to make these again. Although it’s past the season, I think this is another centerpiece that could be adapted for other seasons. Like adding flowers, sand or rocks in the summer, leaves in the fall, etc. 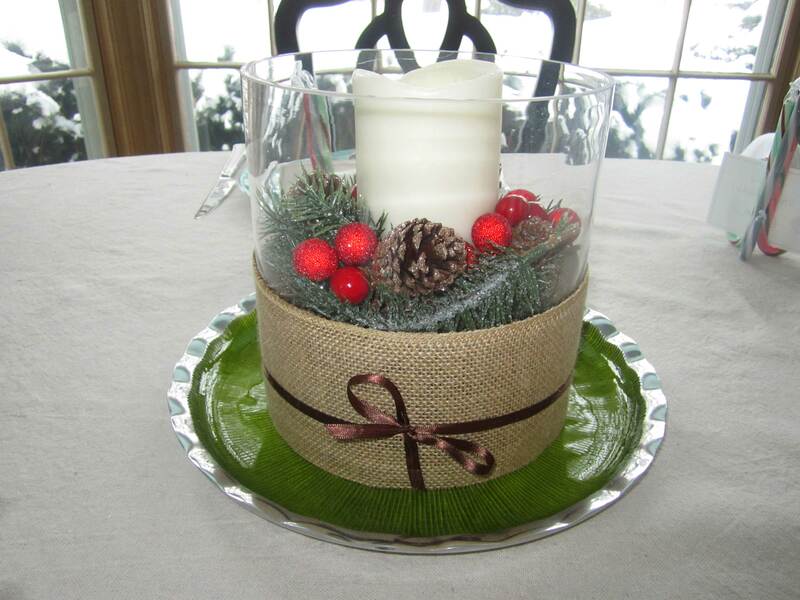 Burlap is very versatile!